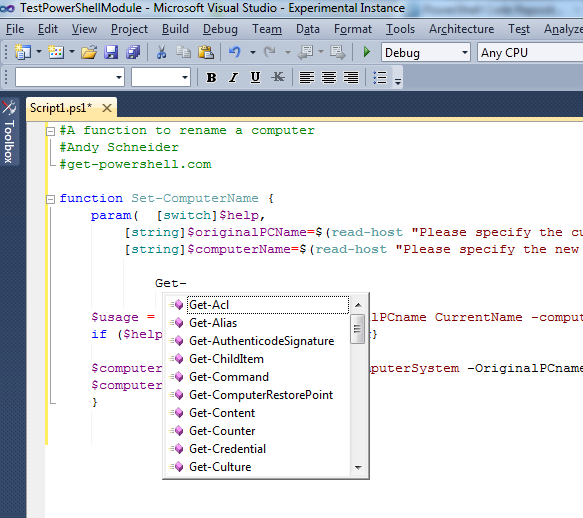 PowerGUI integrated into Visual Studio. A script editor for PS1 and PSM1 files that provides IntelliSense, Snippet Support, and code collapsing. Execute scripts within the IDE. 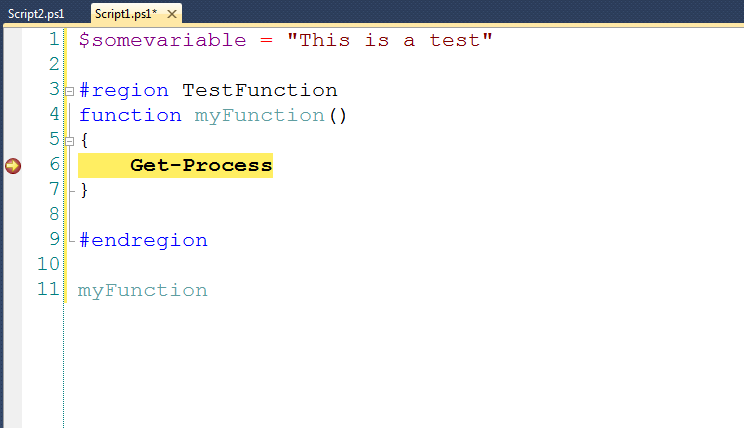 Step through, break and evaluate variables in Visual Studio. In Non-PoweShell Projects press Shift+F5 to start debugging. A PowerShell console for executing commands right in the IDE. Access the Visual Studio DTE through the $EnvDTE variable for automating the IDE. A PowerShell script project type that enables F5 debugging and is dedicated for PowerShell scripts. Automatically sign scripts and create module manifests during a build.